I love the saints. There really isn't anyway to sugarcoat it. They're as close to me as my friends here on earth and I talk to them on a very regular basis. In fact, Saint Maria Goretti and I had a great chat in my car on the way to work today. 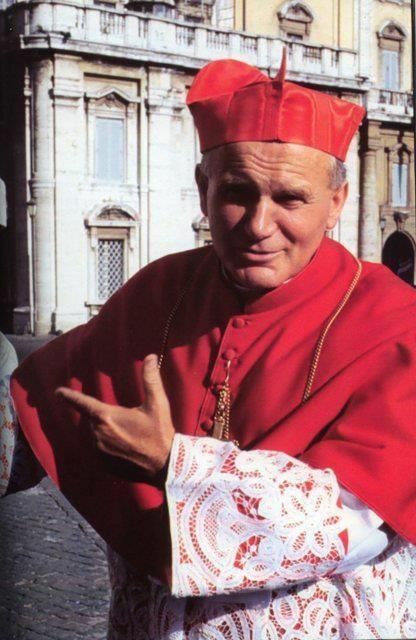 It's hard to pick favorites, but I have to say that my list of top saints would include Edith Stein, Pope John Paul II and Pierre Giorgio Frassetti. Then toss in Maria Goretti, Cecilia and Theresa of Avila and you have yourself a pretty good saint mix if I do say so myself. All of my favorite saints just crash onto the scene of Catholicism and give me this amazing example of an in-your-face Catholicism that just exploded and invaded their entire life. 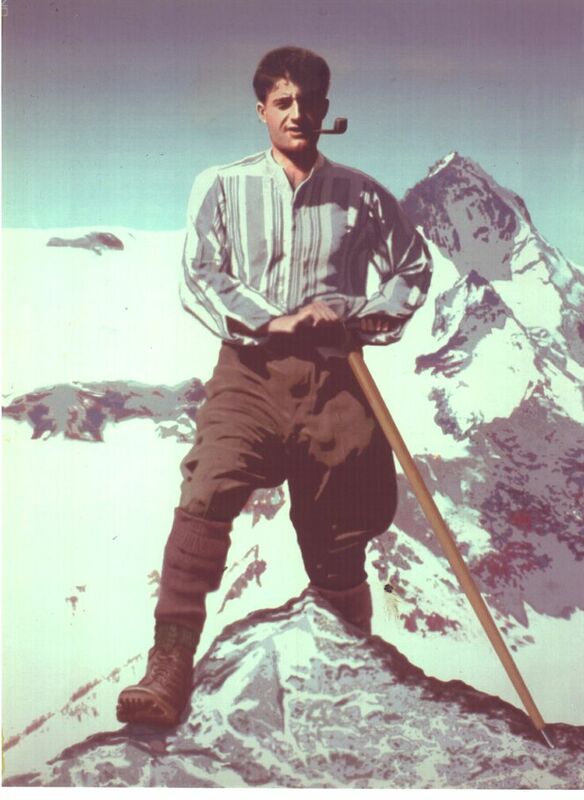 I was inspired by Pope John Paul II's rugged outdoors life and insane people skills. 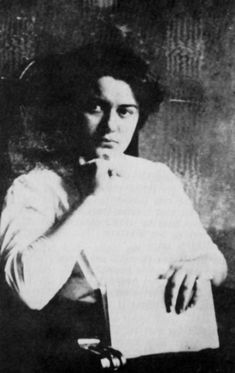 I was emboldened by Edith Stein's writings on women. I wanted to learn to ski just to be closer to Pierre Giorgio. I wanted to change the course of history and people's lives like Maximilian Kolbe. I wanted to be a great saint - and I was surrounding myself with these amazing role models. But when I chatted with people about their favorite saint, one beautiful lady kept popping up in conversation and I wasn't sure how I felt about that. Now we get to the honesty hour. Where I admit that, for the longest time, I couldn't stand Saint Therese of Liseux. Whoa, that's sounds harsh. Maybe it was her neatness. Her gentle smile that seemed to find me in every chapel that I went to, a stray holy card there, a statue here, this constant presence of roses. She was the epitome of humility, and I was over here, struggling with my biggest vice of pride. She was tidy and calm and I was internally wrestling and externally the definition of chaos. She was easy to read and liked to give signs. I was all over the board and was trying to get out of my comfort zone. She didn't appeal to me. She wasn't relate-able. But gradually, as more and more of my friends sang the praises of Christ working through Therese in their life, I realized that I needed to give her another chance - or rather, stop shutting off my heart to what Christ was trying to tell me through her. Then I realized why I didn't get along so well with Saint Therese - she challenged me too much. Here I am, looking at these lofty goals, these high aspirations. My college career, my possible path towards grad school, my big 'V' vocation, my life. See where the emphasis is placed? 'My.' As if this life is mine to live. All the while, Saint Therese is over there smiling, shaking her head more than likely and saying things like "I prefer the monotony of obscure sacrifices to all ecstasies. To pick up a pin for love can convert a soul." I did N-O-T want to heart that at all. I would rather hear things like "Be who God meant you to be and you will set the world on fire." YES! Bring it on Saint Catherine of Sienna! Action! Power! Whoo! None of this pin-picking up business. But Therese kept hitting me with these amazing little quotes that dug at me day in and day out. She made me reconsider my mission field. I was looking at things with a very broad scope vantage point lens. Let me take on the world. My campus. My career field. But Therese was sitting beside me, nudging my finger on the zoom button of that camera, constantly pulling my vision closer and closer to the individuals who were closets to me. My best friends, family, classmates, professors. She kept saying that they were my mission - my mission in my backyard...and I didn't want to have a thing to do with that. That was personal. That was messy. That was sticky. There wasn't any glory (I thought). It felt like settling to me. She kept proving me wrong - if only proven by her patronage. 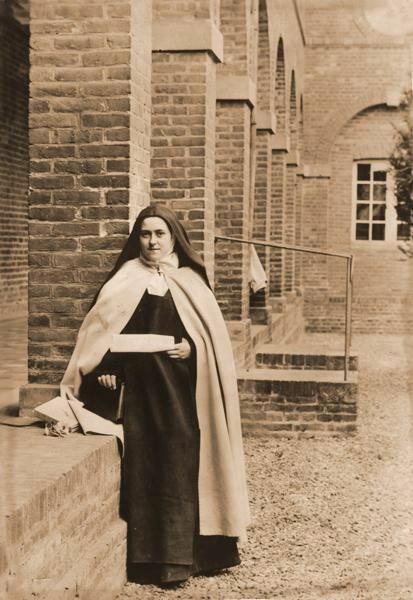 Saint Therese the Little Flower, who went into a cloistered convent is the patron saint of missionaries. What? But it was true - this little saint who pushed herself along her little way was rippling out and effecting many more than just those in her four convent walls. And I was being challenged to do the same. Am I saying that God isn't asking big things from you? No. But I am saying that maybe the stage where you're called to start that role in His plan is looks a lot like the dinner table at your house. Or that 2:00am conversation with a roommate who needs to know that she's loved. Or a little brother who needs challenged in his faith life. Maybe it's not big...maybe it's doing the smallest right and doing it all for love. I'll let Saint Therese of the Little Flower end as she does best, short and sweet: "Our Lord does not look so much at the greatness of our actions, or even at their difficulty, as at the love with which we do them." So embrace the little things, take on the courageous cross of great love, keep striving and Be Not Afraid.